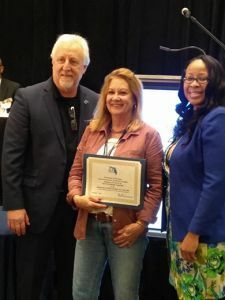 Pensacola State College was named the Platinum Chapter of the Year at the 69th Association of Florida Colleges Annual Meeting and Conference held Nov. 7-9 in Orlando. The award was based on Pensacola State’s submission in 13 categories ranging from membership, community service, and other activities and contributions from June 1, 2017, to May 31, 2018. The mission of the AFC is to “actively promote, represent, and support members and institutions as they provide their students and the citizens of Florida with a world-class college system.” The AFC is comprised of Florida’s 28 public member institutions of the Florida College System, their boards, employees, retirees and associates and the employees of the Division of Florida Colleges. 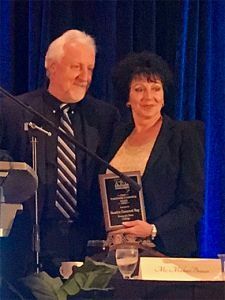 Sandy Ray, Pensacola State’s vice president of government and community relations, also received the Presidential Leadership Award for her contributions with the legislative committee and work with lobbyists. Lanatta Barrett and Traci Jones – Lifesaver Award: Selected by the chapter president, the award is presented to a member who can always be counted upon to chair committees, handle major functions, or duties for the chapter. Diane Bracken, Tammy Henderson and Carol Quinn – as Region Unsung Heroes: Selected by the chapter president, the award is presented to a member who steps up to help, and/or makes contributions to chapter functions voluntarily and with a positive “can do/will do” attitude. Juanita Scott facilitated the Institutional Effectiveness Planning and Professional Development Commission (IEPPD) session, “Insight 7 – Storytelling” with Roland Hyacinthe, a speaker on the IEPPD agenda. Carol Quinn chaired the auction, assisted by Pensacola State staff. Proceeds will benefit colleges affected by Hurricane Michael. Melonie Miner will chair the Member Services Committee for 2019. Juanita Scott will chair the Speakers Bureau for 2019. 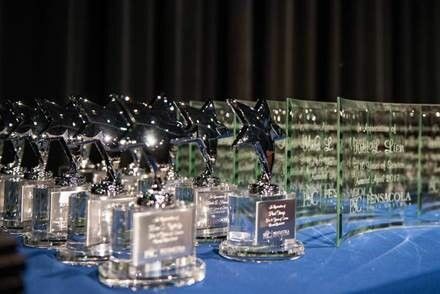 The Pensacola State College Marketing Department also won several awards from the AFC Communications and Marketing Commission. In addition to the awards and participation in the event, the Pensacola State chapter delivered numerous donations to the state project for Hurricane Michael victims, which will be distributed to colleges in Region I.